They are easy to distinguish but identification just on their ‘APF’ description is impossible without further investigation. 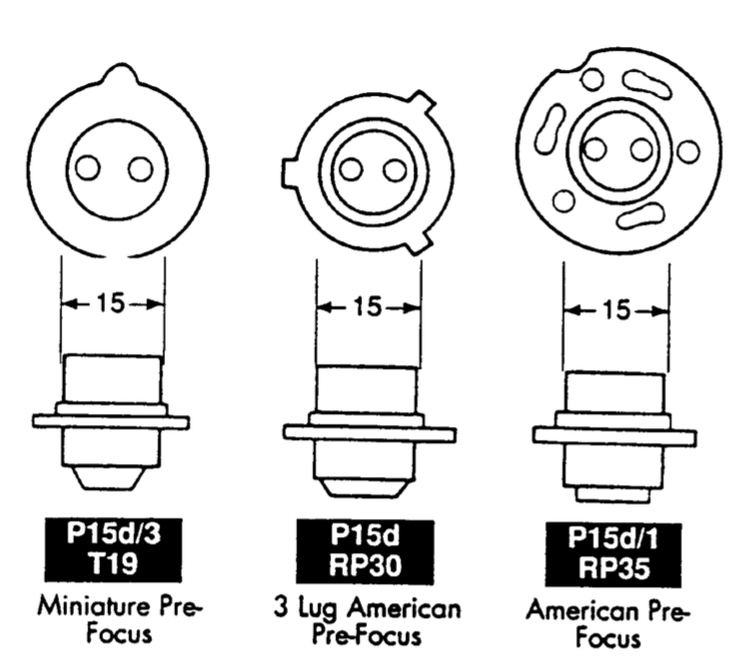 The miniature Pre-Focus P15d/3 appears to be a 26mm flange, in comparison to the P15d/1 (the fitting Austin replacement units use) of 30mm. You have been warned! This site has some further measurements. Classic Dynamo and Regulator Conversions has LED light bulbs and bespoke boards which have been well used for a number of years and their site is very informative. You can also find APF bulbs direct from China through places like AliExpress; cheaper – but with more risk! Can anyone add anything to this post?